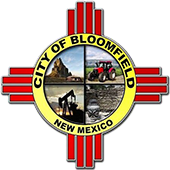 Laura Huish’s Northeast Elementary School class from Farmington, N.M., enjoyed the Bloomfield Aquatic Center at an “end of school” field trip in May. EVERY WEDNESDAY IS WACKY WEDNESDAY! $2 ADMISSION FOR EVERYONE!